Save upto 40% ! 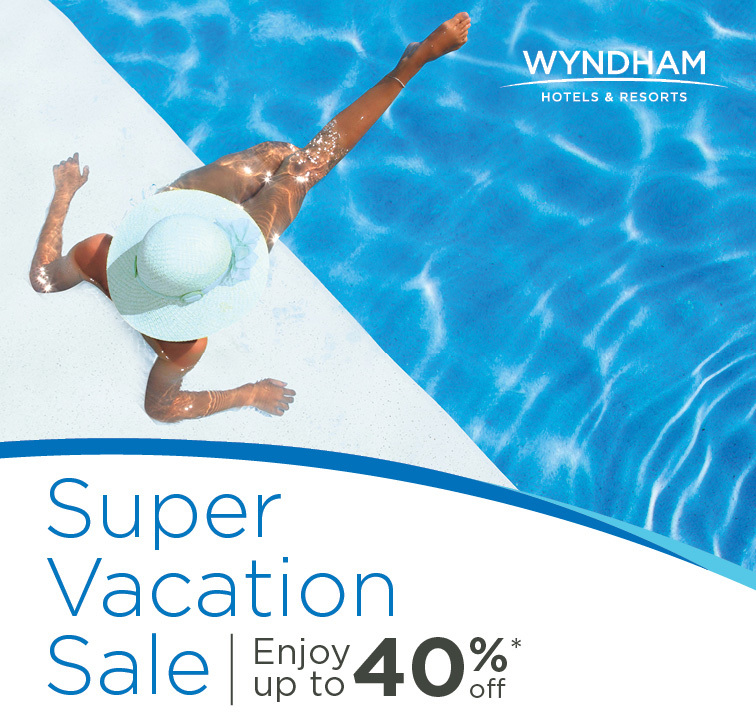 Earn 3,000 Wyndham Rewards points ! Book Now. Book directly on our website, via email guestservices@wgguam.com or by phone (671) 646-3060 and receive a 3,000 Wyndham Reward Point Bonus. Book March 20, 2019 to May 3, 2019 and stay May 20, 2019 to December 31, 2019 for two nights or more at Wyndham Garden Guam and save 20% off Best Available Room rates. Minimum two (2) night stay to avail of the promotional rate.